Glory to the Holy One is a collection of hymns by R.C. 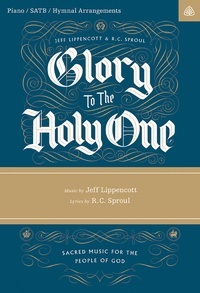 Sproul and Jeff Lippencott that provides the church with an offering of that which is good, true, and beautiful in the Christian faith. The Glory to the Holy One Songbook features ten hymns from the album arranged for piano and SATB choir as well as nine shorter hymnal arrangements that are suitable for congregational singing or family worship.